Live a better way of life with a home medical alert system that monitors 24 hours a day, 365 days a year. Senior health and longevity is as simple as a push of a button. An easy press of a button will instantly activate Life Alert's senior alert system that’s attached to a small base unit located in the house. The base unit will immediately communicate with our Central Monitoring Station, initiating amplified two-way voice communication between the senior and our emergency operators, who will contact neighbors, Paramedics, Fire Department, Police and relatives or neighbors as needed. In a home fall emergency, or in case of a seizure, heart attack, stroke or other serious illness a senior may not be able to reach the telephone. She or He may lie on the floor for hours or days, disconnected from any help. This injury can become life threatening. Life Alert puts senior health above all else, that is why our one-touch medical alert system is easy to use, and Life Alert cost is priced to ensure reasonable affordability. 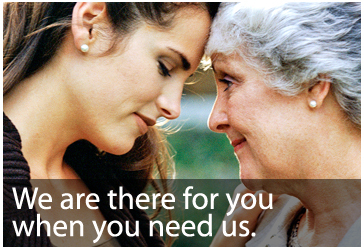 With our senior alert system, Life Alert members are protected against such dire situations. Our service becomes their lifesaving link to the outside world and immediate medical attention. In a survey taken by ACNielsen International Research, 87% of Life Alert members said that Life Alert's protection is a main or important factor in their decision to keep living at home rather than going to a retirement institution. Life Alert’s medical alert system gives peace of mind to family members while providing emergency service to their loved one when needed. Life Alert members enjoy independent home living for an extra 6 years. Life Alert cost is just a fraction of the price of retirement homes. Emerald Green was all that the townsfolk saw when they passed Granny’s Victorian home at the end of the street. 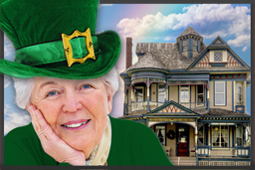 There was no mistaking that St. Patrick’s Day was upon them as Granny’s yard had oversized shamrocks strategically placed about and rainbow ribbons weaved in and out through the porch’s rod iron railings.